I haven’t had a desk and chair paired together in my room since my college apartment junior year (4 years ago). It’s nice to have space to work and a place to put my colorful tools. I’m still organizing my craft supplies and important documents. The process is undoubtably influencing my work. I like this one a lot, and good colors! I find this really fantastic. 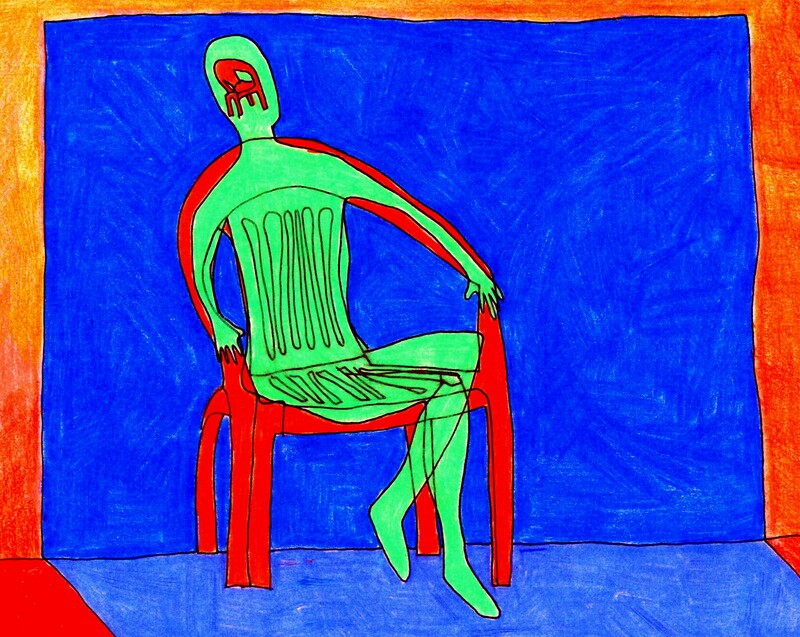 The colors are beautiful, and the symbiosis between the character and the chair is awesome.